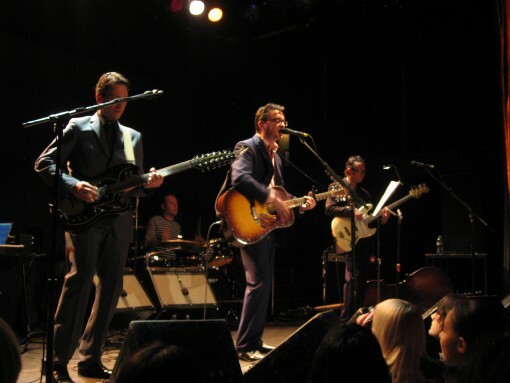 Richard Hawley and his band played to a packed (and I mean really packed) and adoring house at the Bowery Ballroom on Saturday night. Oh yeah, it wasn’t just all ex-pats in the crowd either, many of the bloggeratti were out as well, including BrooklynVegan, PunkPhoto, Yeti Don’t Dance, and Disconap, just to name a few (actually, that’s all I can name). I must admit, for a guy who is more or less a crooner, I was a little surprised at just how young (and into it) the crowd was. UPDATE: NYCTaper and Fresh Bread were there too. Here’s another blogger who was there.